Successful Internet marketing requires not only profound knowledge and modern techniques, but also a great deal of courage and intuition, to say nothing about hard work done every day. If you decided to start an online store, be ready for a long journey to the top full of traps and pitfalls. One should understand that having an online store is not merely choosing online platform, nice theme and adding product info. First and foremost it is creating a favorable atmosphere, where customers feel easy and can find whatever they need just in a few clicks. We have gathered a few PRO hacks that will help your online store to win customer hearts (and wallets) once and forever. Product description is one of the cornerstones of the successful Internet marketing. 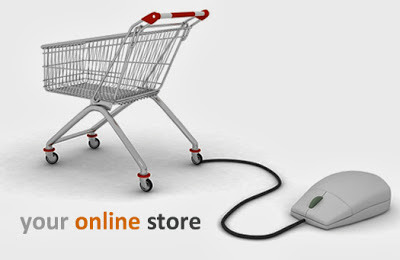 According to recent research, best product description for an online store should range from 75 to 200 words. Fewer words don’t let one provide all the necessary details about the product whereas longer description takes too much time from the customer to read it. And there is high probability that he would simply go to another store where he wouldn’t have to read that much. Besides, do not forget to take your utmost from text formatting. Highlight all the most important information such as size, weight or shipping rules with the help of lists and bold or italics format. If your description is longer than 100 words, it is sensible to divide text into logical paragraphs with headers. Remember that pictures always speak louder than words. If something can be said with both pictures and plain text, always prefer the first variant. For example, it is much better to show the choice of the product colors (e.g. a T-shirt) with actual photos of the cloth. This would help a customer to get a better understanding of how the purchase would look like. Unfortunately default options of an eCommerce platform lack this feature, so be ready to buy an extra extension. If you use Magento platform, the best choice would be Color Swatches PRO by Amasty, which can boast of a number of great features besides the one mentioned above. Today breadcrumbs have become a good UX tone of any website no matter whether it is a blog, online store or a magazine. This simple feature makes navigation round the website easier and lets visitors find their way through your store with less effort. Remember that breadcrumbs are important not only for navigation round your catalogue, but also during the shopping process. If you show your customers the list of all the steps that need to be taken to make the purchase they will not have the feeling that this would last forever and will be much less likely to abandon their cart at your store. Another profit killer that leads to a high level of cart abandonment is the complicated registration process. The best thing you can do is let your customers make purchase with no registration and after all job is done send them an email with their login and password. Another good idea is to introduce a single-click registration. This can be done, for example, with the help of login through the social networks. If all these variants are not for you, simply try to make the registration process as short as possible, otherwise there will be a high probability that customers would abandon your online store without even having a look at all the great products you offer. There is only one thing that customers hate more than long registration forms. This thing is hidden charges. No matter how much time you spend on the product range, price policy or store design, if at the end of the purchase procedure your customers will learn that they would have to pay extra money for taxes, shipping or whatever else, they will most likely leave you once and forever. If you have to charge extra money from your customers, please do not hide this bitter truth till the very end. In 9 cases out of 10 they wouldn’t be understanding and would feel that you are trying to let them in, which is unforgivable for any store owner.